The price of a pastrami on rye at Katz’s Delicatessen may have inched higher over the years, but not much else has changed at this Lower East Side institution. You still get a paper ticket when you push through the turnstile and you can still send a salami to your boy in the Army. Manhattan apartment rents jumped last month, extending a surge in costs as availability tightens during the market’s peak season. Market-wide: On a longer range view, average price and average price per square foot have remained relatively steady over the last six months, reflecting stabilization following record-breaking price growth during 2013. Condos: The average price was up a significant 23% since last May 2013, continuing an eleven-month trend of annual price growth. Average condo price has remained between $2.3MM and $2.6MM over the last six months. average time to sell a co-op unit in over five years. Brooklyn continued to show strong growth as the average sale priced increased 13% and the average days on market decreased 40% year-over-year. In May buyers paid on average 5.0% over last asking price with 62% of contracts signing above asking price and 16% signed at asking price. • Year-over-year the number of contracts signed decreased by 19%. • Year-over-year contracts signed decreased by 17%, but month-over-month saw a 5% increase. • Total available inventory in Brooklyn increased 14% versus last month and by 3% versus last year. There were 21% more new listings compared to last month, but 44% less than April 2013. Pigeons sometimes swoop through the once-storied sanctuary of Beth Hamedrash Hagodol, a 164-year-old synagogue on the Lower East Side. 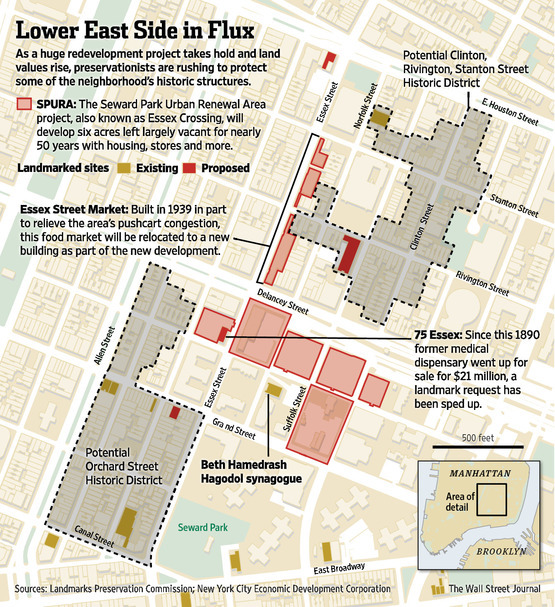 Now, a flock of preservationists, city officials and the congregation’s rabbi is trying to make sure a wrecking ball doesn’t do the same thing. 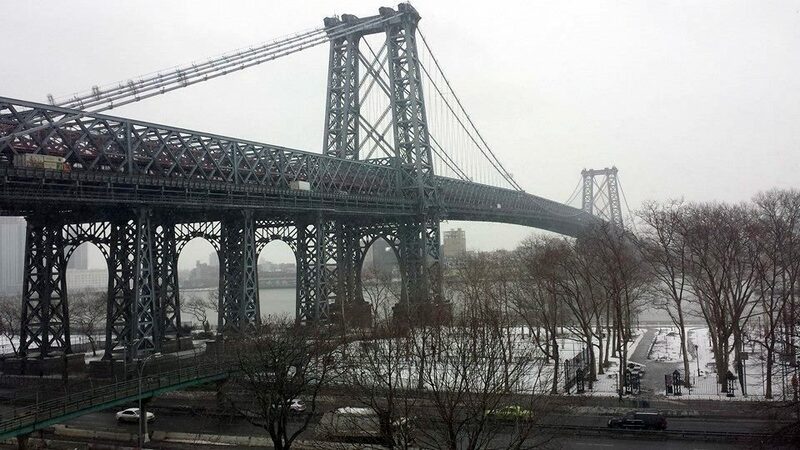 Beautiful view of the Williamsburg Bridge from the Lower East Side apartment of one of my clients. Contact me to assist with the sale, rental, or purchase of your home. New Listing Norfolk St and Rivington – 1 bed apartment with separate kitchen. One flight up. To schedule a viewing I may be reached via mobile phone or email from 8am to 10pm daily. No one knows the LES like me. I live here. I live in the Lower East Side. I love the Lower East Side. No other neighborhood in Manhattan offers such an array of great independent cafes, shops, bars, and restaurants. It’s main street next door to Wall Street. Amidst all the great small businesses in the Lower East Side sitting at the corner of Delancey and Allen St is Berkli Parc. Part coffee shop, part bar, part restaurant, and 100% awesomeness is where Lower East Side locals come to eat, work, drink, and socialize. What I love most about this business is that I’m always made to feel welcome and appreciated as a customer by the staff, and in return it’s my pleasure to repeatedly spend my money here. Not to mention the free Wi-Fi and the $0.25 coffee refills! Yes, that’s right $0.25. 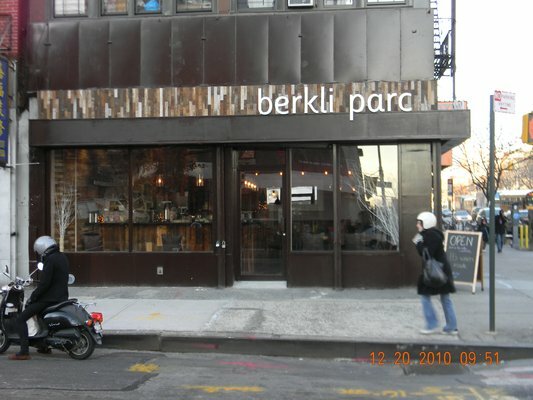 So if you are in the Lower East Side and seek a warm friendly place to have a drink (coffee, beer, and wine), or a bite to eat (the quinoa salad is a favorite) stop by Berkli Parc. It’s what every great cafe should be.